The Blue Moon on Aug. 31 will be followed by the Harvest Moon. 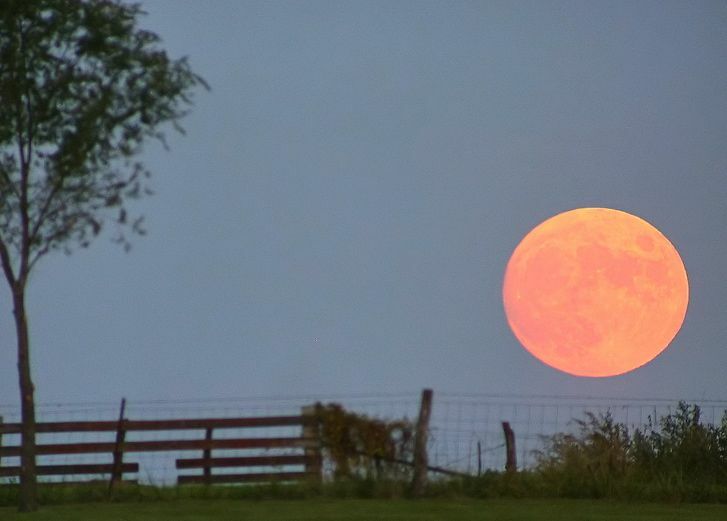 The Harvest Moon is the full moon closest to the fall equinox. Sometimes called the Hunter’s Moon, it will rise on Sept. 29 in the United States. The farther North you are, the longer you will be able to ponder the magic. The reason it teases us with celestial sorcery – at this time of the year the ecliptic orbit of the moon changes, so we are viewing it through more of Earth’s atmosphere. This accounts for the brilliant colour, and massive size. Another benefit of this orbit change, instead of the moon rising 50 minutes later each day, at this time of the year it’s only 30 minutes. This gave farmers more light to harvest their crops, hence – Harvest Moon.